Anyone who reads the volumes of research can easily see all the reasons why a nature preschool is not just a real preschool, but should be a standard for all preschool environments to aspire to attain. Here are my top five reasons why a nature preschool should be the choice of all parents when deciding on their child’s first preschool experience. Growing and planting teaches a valuable lesson in change over time, and sticking with a project to see results that may take a while to be revealed. No. 1: Children in nature preschools learn by doing and with hands-on activities. You must be hands-on when you learn in nature. You cannot be a passive learner; you must engage. Most nature preschools do not put a heavy emphasis on early academics. Instead, they opt for a balanced curriculum that seeks to develop the “whole child”—i.e., cognitive, physical, social, emotional, and creative development. These are all principles that the National Association for the Education of Young Children endorses and embraces. No. 2: Time learning in nature supports creativity and problem solving. Many children spend time in preschool working on one-answer solutions. Their work is very cut and dry, limiting the amount of critical thinking or creativity needed for the answer. Play in nature allows children to try several solutions to a problem. Nature is unpredictable, and often, answers might not be what we would like, but we learn from this too. A great example is “Spike”, the titan arum that did not bloom here at the Chicago Botanic Garden. Was the anticipation and all the new knowledge that so many people learned while waiting a waste of time? Of course not! Spike went back to the greenhouses and is being studied. Our horticulturists have gained even greater knowledge of titan arum cultivation for Spike’s failure to bloom. Children engaging with nature experience similar failures, and learn from them. They try new ways to solve problems, and find out more about why their solutions did not work for the next time. Nature allows for children to discover how to adapt. No. 3: Time spent in nature helps reduce symptoms of ADHD. This infographic created by the National Environmental Education Foundation is also a quick scan of facts about why being active in nature makes kids healthier. Click here to download or view larger. Researchers Dr. Frances Kuo and Andrea Faber Taylor of the University of Illinois’ Landscape and Human Health Laboratory have dedicated themselves to studying the relationship between physical environment and wellness. They have done a number of studies in particular related to ADHD and time in nature. These studies have shown children with ADHD have improved concentration after time spent in nature. I have witnessed firsthand how children respond inside the classroom after spending time outside in nature. They really are ready to listen, concentrate, and settle into tasks either on their own or with others. Think about how you feel after you return from a walk or time outside in your garden—don’t you feel stress-free? There are many other health benefits related to nature preschool. A good report to find out about more of them is Health Benefits to Children from Contact with the Outdoors and Nature. No. 4: Children who attend a nature preschool are better observers. “Nature literacy awakens habits of perception (sensory awareness) and cultivates a rich vocabulary of search images (knowledge of place). 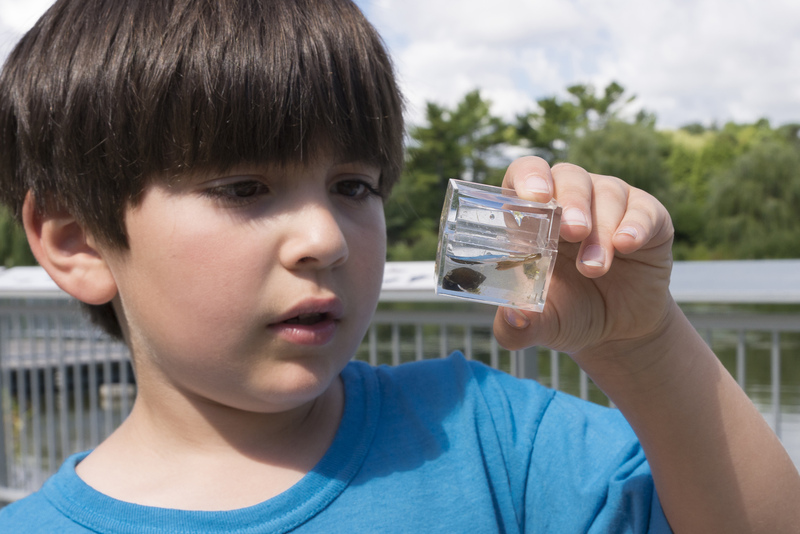 Through these, our students connect to the natural world in a meaningful way.”—Fostering Outdoor Observation Skills, A Project of the Association of Fish and Wildlife Agencies’ North American Conservation Education Strategy 2011. Children must take the time to listen for birds, look for small clues that animals might have come down a trail, and notice the differences between leaves on two different plants or trees. Observation in nature is not just about knowing the names for plants or creatures, but being able to recognize them when out on a hike. Allowing time to examine the outdoors in detail makes children better overall observers, and better able to focus in class. No. 5: Nature Preschool fosters an appreciation of the world around children. When a child engages in an activity of any kind, an appreciation develops. Think of children exposed to various genres of music; they become better attuned to musical nuances. It is the same for children who spend time on a regular basis in nature. They see the beauty, explore the changes, and learn to enjoy their time outside. This appreciation is carried over to adulthood. It is the frequency of explorations in nature that are probably the greatest benefit of a nature preschool. In her article, “The Wonders of Nature: Honoring Children’s Way of Knowing,” Ruth Wilson, Ph.D., notes, “Early experiences with the natural world have also been positively linked with the sense of wonder. This way of knowing, if recognized and honored, can serve as a lifelong source of joy and enrichment, as well as an impetus, or motivation, for further learning. As a parent, can you choose a learning outcome for your child that is more important than that “sense of wonder?” Even for an adult, wonder is so important in order to be a lifelong learner. As you make the choice of a preschool for your child, I hope that you will take some time to read a bit more on nature preschool values. Are these indoor/outdoor classrooms just the latest new kid on the block, or is there more to this trend? Which ways do you find best for children to learn? 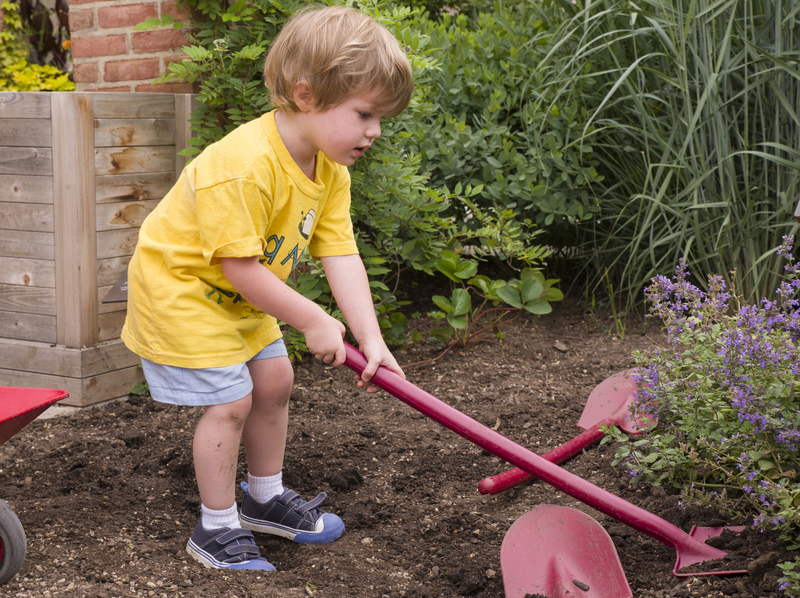 Online registration for the Garden’s 2016 Nature Preschool program begins December 7, 2015. Save the date: Open Houses for the program will be held January 14 and April 7. Click here for more information on the program. Pingback: Little Hawks Discovery Preschool | Why Choose a Nature-Based Preschool?